Here I am! Back with a new blogpost to discover Dubai and all it has to offer. On my 5-day trip I visited a few must do’s in the city. Here you can find my top to do’s in the city! Defenitely a must do in Dubai. The beautiful desert is breathtaking and just made me so dreamy. I went with the travel company OceanAirTravels to go dune bashing in the desert and it was absolutely amazing and SO MUCH FUN. It’s quite wild and if you’re having car sickness the dune bashing part probably isn’t something for you. On the trip you can also go quad driving or sand boarding from the top of the dunes. Very fun activities and very well organised. In the evening you go to a big open barbecue buffet with local dancers and henna artists. I totally loved this day with OceanAir and really can recommend it as it’s a full Dubai experience! As I told you in my video, there are many different ways to spend nice, cosy but also cheap evenings in Dubai. A lot of hotel bars and rooftops organise events with girls nights. Women don’t have to pay to go in, get a few free drinks or discount on for example food. Also Five Palm Jumeirah organises these kinds of evenings. 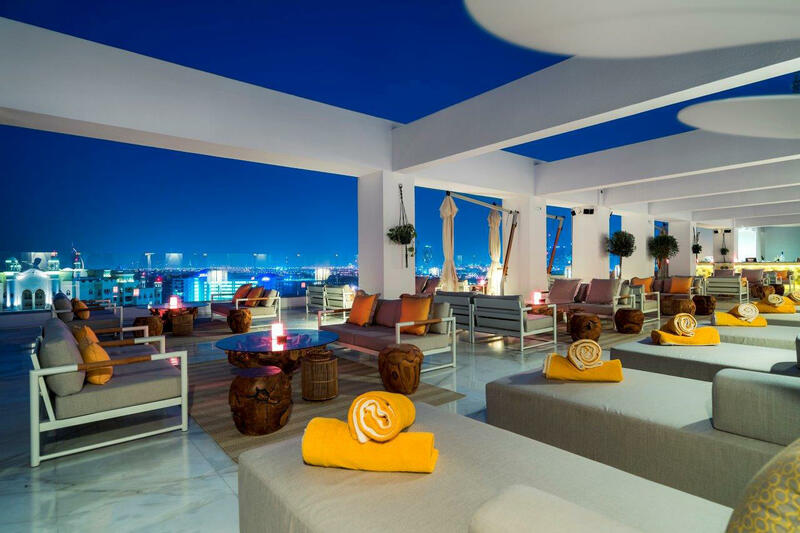 It’s a very fun way to visit an impressive rooftop bar and enjoy some free goodies at the same time. On this website you can find free entrance dates at Dubai bars! At the beginning I didn’t have very high expectations of this activity. I really just thought this would be a garden with nice flowers. Think again. 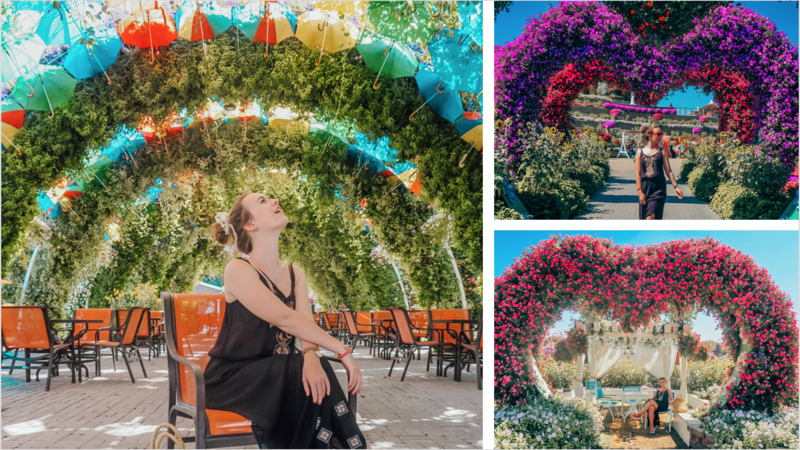 The Miracle Garden in Dubai is absolutely incredible. It’s definitely something you’ve never seen before. Dubai wouldn’t be Dubai if they didn’t always aim for the best and most impressive, but this really felt like walking through a fairytale! Wauw, dat ziet er wel prachtig uit! Wat gaaf dat je daar geweest bent en zoveel hebt kunnen zien! De “ladies nights” vind ik erg leuk 🙂 Fijn dat ze dat doen! Wat tof! 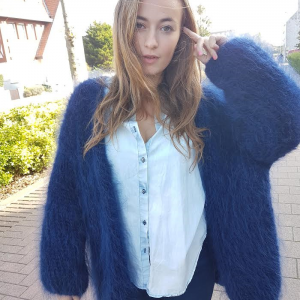 Ik ben zelf dol op High Tea’s (en dan niet de standaard 13 in een dozijnhightea’s), dus deze komt zeker op mijn wish list!